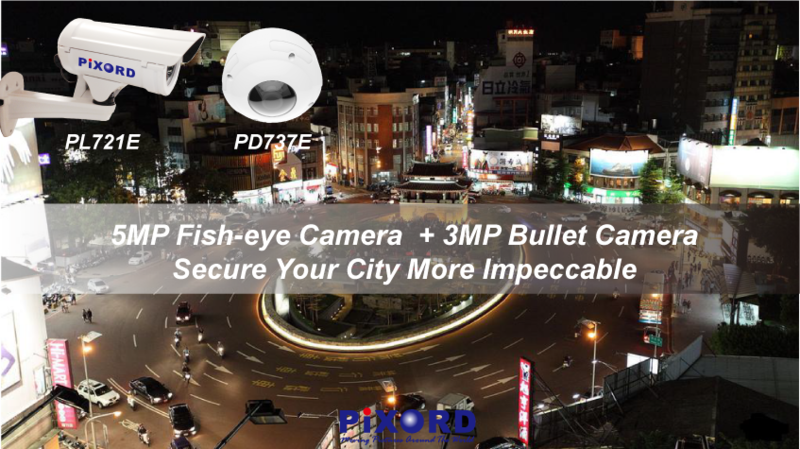 PiXORD 5MP fisheye camera enable you to see 360° surround view without blind spots, with the locally de-warping no more specific software and equipment would be required. 3MP bullet camera delivers clear image and be able to capture the car plates in distance. 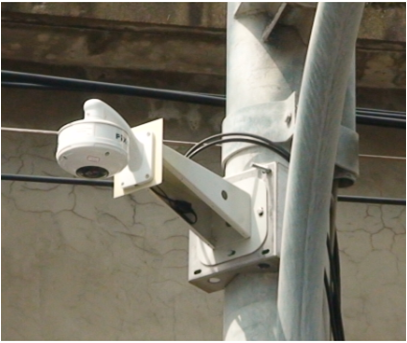 This combination is featured to simultaneously monitor entire area from fisheye and detailed specific view from bullet camera, which benefits you two types of functionality to secure the city seamlessly. To ensure overall city security more solid, the Police Station of Hsinchu City in Taiwan had planned to replace the analog-based system with IP camera. 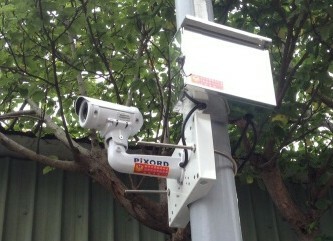 In 2014, Police Station has deployed more than 1,800 bullet cameras and 120 fisheye cameras over the city for civil security and traffic accident, and that amount includes PiXORD 1,500 bullet cameras and 100 fisheye cameras. Compare with previous system, network camera is more functional and provides clear image that is truly helpful to be an investigative tool for police. PiXORD bullet camera is especially designed to capture car plate with 90 km/hr at daytime and nighttime. With such evolving change it has made a great success to enhance the whole city protection. You may click to see the real application.